Soooo.. after a few rounds, different weapons, crashs and big question marks the time has come to sum up my experiences. First of all, after the shock with the pre founder built, I was supprised how well the gameplay already flows. It is really fun to punish the foes of man and everything show in which good direction the game is heading. Thx for that! But naturally.. it's an alpha.. so there are bugs/glitches/discomforts.. so I'll try to sum them up as good as I can. 1.) Constant Crash while the game was set to fullscreen (in 1920*1080). After changing to windowed (borderless) no more in game crashes and my 4k res got available. Since then, only one crash after a mission. 2.) 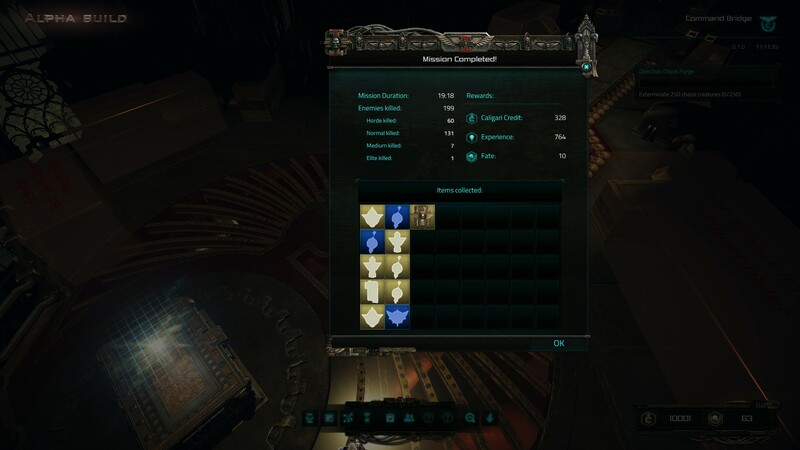 Loot - first I noticed that the collected loot in the mission was shown correctly after the mission in the report window, but only the first of every categorie was really looted. After a few rounds the loot changed an there were no more mission reports after a completed mission. Following this.. no loot even if collected in game. Other players could relate to the same situation. Also the trader had no more buyable inventory. Relog didn't change. next mission there was no single lootdrop. Money drops constantly. Finished missions are no longer available. 4.) Ability Progress seems not to be implemented. 5.) Almost famous switch weapon crash. Many player reported that the game crashes if you switch weapon during run. I personally didn't have this issue till playing windowed. 6.) Doors/Openings often don't get transparnet fast or wide enough so enemys can't be fought in the far corners befor you turn the camera left or right. 7.) Mission types. Though it's a early alpha I hope for a load of different mission types. Assasination and purge feel quite similiar. Taking the fact that this is the first founders alpha weekend, it's really a great build and i'm looking forward to the next changes! I already read it in another post but by now it didn't occured. Now I bought a new plasma canon, equipped it and startet a mission. My new plasma canon went missing and I got my old equip back. 2.) 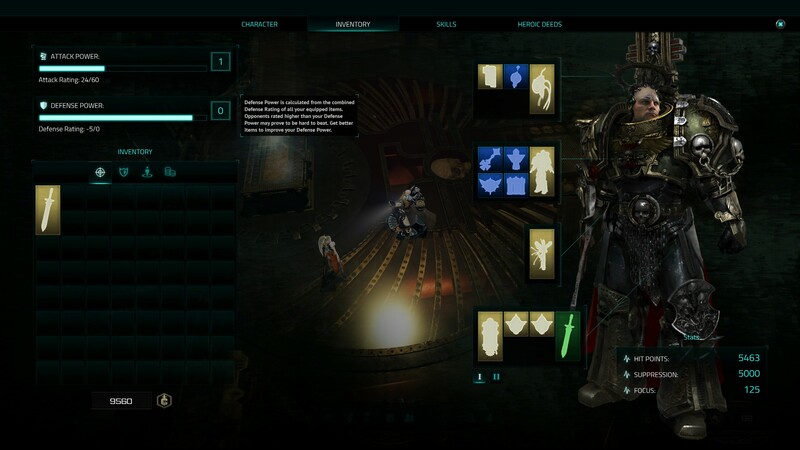 After I couldn't find any loot for my crusader heavy I decided to create a new character (crusader Mellee).. and take a look.. the trader now has an inventory again for both of my characters. After 1. Mission with my second char I got a finished mission report and the loot I found. Not 100% sure that I got all the stuff. But it wasn't that much. The trade still has a buyable inventory and I can sell my old stuff. Thanks for your detailed feddback.